After radar and sonar were founded, problems of the “visibility” reduction for physical bodies in air (electromagnetic waves) or in water (acoustical waves) have immediately become serious in physics and technics. Facilities of the "visibility" reduction are oriented physically for the reduction of radiation field and reduction of scattering field of physical bodies. Now many problems of this circle have become classical, and many researchers thought that these problems cannot have solutions for a practical scenario. New technologies (sensors, actuators) of high spatialtemporal resolution plus new computers with fast and accurate calculations in combination with untraditional versions of solutions of above boundary problems, allow to obtain the success in some cases. Traditional thick and weakly absorbing coatings are unacceptable today because of their greater size and weight. Interference coatings have a thickness about 1/4 wavelength, but they have narrow band of working directions and frequencies. The next attempt was the active damping (with radiation of cancellation anti-wave), suggested and developed by G. Maljuzhinets, M. Jessel, G. Mangiante. This idea permits to design coating of thickness much smaller than the wavelength. The works by B. Widrow on adaptive filtering have been applied by C. Fuller, C. Hansen, S. Elliott successfully for active noise control with adaptation ("training" during real time) to a prior unknown boundary value problem (which can also change). Training of active control system requires enough big time, because it must have total acoustical information (vast amount) on the boundary value problem. In real conditions (elastic shell in various depths and temperatures, with vibroacoustical characterictics, which were investigated by M.C. Junger and D. Feit) this vast volume of information deviates more quickly than the process of training. In recent times the idea of cloacking becomes very popular, suggested by J. Pendry. This presents the solution of above general problem for some body with cavity. Incident wave does not penetrate the cavity and, on the other hand, can not be scattered by the external surface of a body. Therefore any body can be spaced into this cavity, and will be invisible for outside observer. This result is achieved, due to special microdistribution of parameters of body material (called "metamaterials"). The cancellation of radiation and scattering field of shell in liquid is connected with following serious problems: (a) wideband acoustical fields to be damped; (b) neutral floatability of a shell in liquid; (c) the absence of dynamical support (consequence of (b)); (d) the absence of inertial coordinate system to measure shell's surface displacements (consequence of (b)); (e) the uncertainty of many parameters of shell and incident wave; and (f) problem of compactness of active control system. The book by V. Arabadzhi presents a rare attempt to solve the problem as a whole. Author uses stable technological tendencies in miniaturization and acceleration of sensors, actuators, computer components. On the other hand the lengths of waves to be damped, were constant due to the constant condition of their far propagation. Taking into account the technological progress, the author also used several untraditional approaches to the problem: conversion of the waves to be damped, into the waves of spatial and temporal frequencies which are "invisible" for the used receivers. I hope this book will be useful for a lot of readers with various interests in physics of waves. 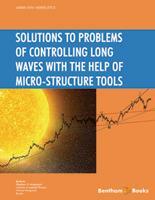 This book can help them to find new approaches and solutions of a wide area of problems. Basic wave problems annotated in this book are the control of radiation, scattering and absorption, "black body," and "transparent body." Possible technical applications include but not limited to the absorption of sound by linear multipoles and unidirectional multipoles from Huygens sources; parametric coating of small waves for the absorption of long electromagnetic waves; active system for conversion of any physical body in liquid to an acoustically transparent one; parametric muffler that is small size in comparison with the length of suppressed wave. We propose superwideband (temporal, with initial conditions) representation of the boundary-value wave problem. Active control systems considered here use special control algorithms. These algorithms form the control signals that are much smaller than the minimum time scale of the waves to be damped. The control algorithms include logical nonlinear or modulation operations that do not require interpretation of the control system found in traditional combination of linear electric circuits where all parameters are constant in time. The proposed active control systems need accurate information on the geometry, but not full information on the boundary-value problem. Traditional self-restrictions. There are some self-restrictions in the statement of the active wave damping problem. The most self-restriction of such a type is the operating of complex amplitude at the frequency of the wave to be damped. Traditional control of complex amplitudes applied to problems of reflective damping for instance leads to some principle contradiction i.e. having the complete spectral information on the incident wave when we see that this wave is over already. Traditional approaches require accumulating vast amounts of information on the wave field and the boundary problem such as factorization of the wave field in the incident and the reflected one, spectral estimates of fields, and identification of Green's functions. This requires time demanding training (tuning) compared with the drift time scale of the boundary problem parameters and the maximum time scale of the damped field. Note that optimum version of such a system (if we had chance to identify them precisely) would need some combination of linear electric circuits between sensors and emitters (actuators) with parameters constant in time. Some opinions have appeared concerning the universal solvability of active damping problems by means the adaptive ‘Widrow’like structures if at most we had sufficient number of adaptive filters of sufficient time-length. Such an intelligent system has tried in some form to build a copy of the boundary problem. A very useful property of such a system was the modeling of chain factors including acoustical, electric, mechanical, etc. into one total linear electric circuit with parameters constant in time. But principal problems still existed in tuning time and accuracy for the large dimension when a number of emitters and sensors were used for damping the system; and in finite drift time scale of the boundary problem. The modeling noise (tuning noise, finite accuracy) was a natural paying price for adaptivity in these structures. In addition we review the problem of acoustically transparent body of neutral floatability in liquid. To solve this problem we computer simulate the complicated vibroacoustical characteristics of the protected body very accurately, i.e. know all dynamic parameters of the body. To control the radiation and scattering fields of the protected body we need to either support it by mechanical attachment (vibrostat), or control the body's oscillations based on full information about its dynamical behavior. In many cases of practical interest the protected body has neutral floatability (vibrostat is absent). This body is rigid if surrounded by air, but soft for acoustical pressure in a liquid. Vibroacoustical parameters of the body are characterized simultaneously by a vast volume of information, and fast temporal changes. The temporal changes of temperature and hydrostatic pressure outside the protected body does not permit identification of a body’s parameters with sufficient speed for effective control. We propose a super wideband (temporal, with initial conditions) representation of the boundary value wave problem, and fast control of parameters in real-time that permits us to avoid previous difficulties.